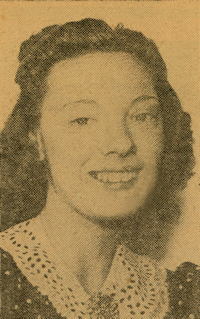 Obituary – Provine, Frances Marie (Hall) « Perry High School Alumni Association, Inc.
﻿- 18 years old, daughter of Mr and Mrs. H. C. Hall, of Perry, was born June 19, 1922, at Boyton, Okla., and attended the Sand Springs and Bristow schools before coming to Perry. She has been here six years. She was class treasurer in the ninth grade, and has been worthy advisor of Rainbow, pep assembly chairman, president of the Red Hots, and president of her Sunday School class. Frances appeared in the senior class play “What a Life,” and also has played in the violin quartet, and in the high school orchestra. She plans to attend a Tulsa business college upon graduation from the Perry high school. 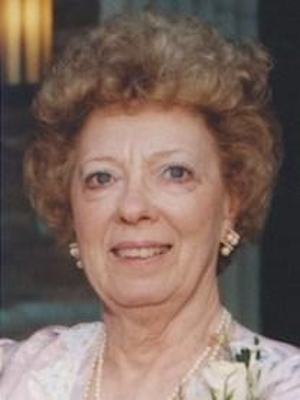 Frances Marie Provine, 90, passed away on February 24, 2013. Frances was born on June 19, 1922 in Boynton, OK to Herman Cloves and Mary M. (Slagle) Hall. Frances graduated from Perry High School and attended Tulsa Business College. She was employed by Tinker Air Force Base for 27 years retiring in 1981. Frances was a member of Country Estates Baptist Church. She enjoyed traveling and was very active at the local, state and national level of the National Association of Retired Federal Employees (NARFE), serving as state treasurer for many years. Frances is survived by her loving husband of 70 years, Othar Provine; children, Ronald Provine (Jannice), Gary Provine (Cyndy); grandchildren, Stacie Mattingly (Brian), Joshua, Molli and Cooper Provine; great-grandchild, Hannah Gracie Mattingly. Please consider a donation to: The Oklahoma Baptist Homes for Children, 3800 N. May Avenue, Oklahoma City, OK 73112. The visitation will be held on Friday, March 1, 2013, from 8:00 a.m. to 8:00 p.m. at the Bill Eisenhour Southeast Funeral Home. A funeral service will be held at 10:00 a.m., Saturday, March 2, 2013, at the Bill Eisenhour Southeast Chapel. Interment will follow at Arlington Memory Gardens.